Whether you are retrieving bore water to irrigate your crops or transferring water through irrigation channels, you need irrigation hose solutions that are cost effective and efficient. 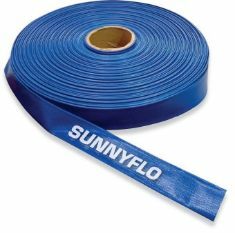 With water being such a scarce resource, it is vital to use high quality hose to transport it with minimum loss. The key to water conservation when dealing with pumping and irrigation is secure clamping and couplings that you can rely on. Our fitting and coupling systems can repair and restore efficient water delivery on your existing irrigation hose or ours. The first step is choosing a Crusader Hose product that matches your needs. If you are unsure which of our products is suitable, please contact us. The choice of irrigation hose is detailed in the table below. 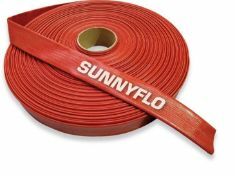 Crusader Hose is leading manufacturer and supplier of layflat hose and we are highly responsive to the needs of our clients. 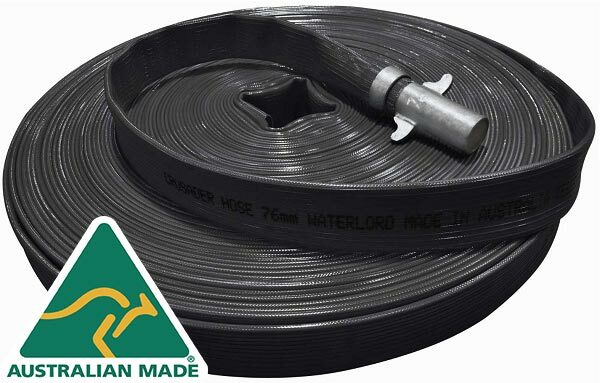 IrrigationBox proudly presents a range of specially designed and manufactured woven layflat hose. 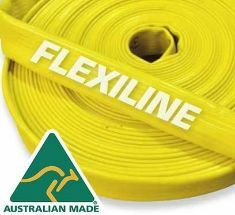 Our layflat hose products have been developed to suit the gruelling Australian conditions. With an ISO 9001 program in place, Crusader Hose conforms to specific industry standards. 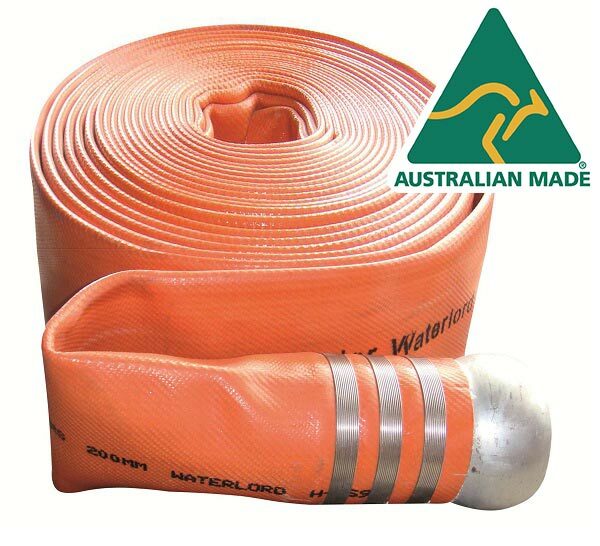 We comply with Australian Army Standard DEF 5195A and AS 2792 for fire hose, AS 2683 for fuel transfer hose and AS 4020 for potable water hose. Other customer requested standards are researched and developed according to market needs. HIGH pressure travelling irrigator drag hose with woven reinforcement and highly abrasive PU cover & inner lining. MEDIUM pressure small irrigator lay flat hose. PVC nitrile & woven polyester fabric. Suitable for MEDIUM pressure applications. BRAIDED reinforcement, PVC cover & inner lining. Suitable for LOW pressure applications. BRAIDED reinforcement plus PVC cover and inner lining.